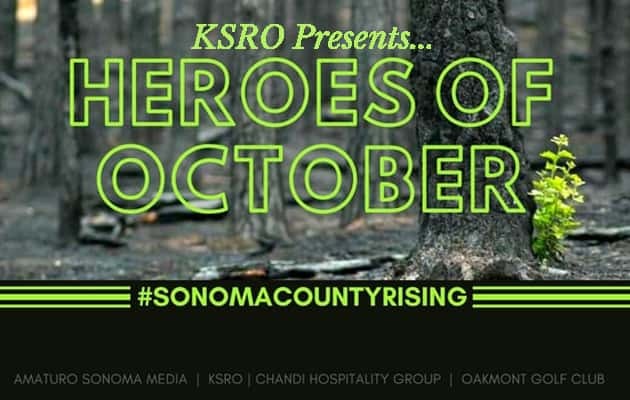 Amaturo Sonoma Media Group, owner and operator of KSRO, is proud to present “Heroes of October”, a series of three community events honoring the heroes of the devastating October Wildfires here in Sonoma County, California. Proceeds benefit the Community Foundation Resilience Fund. “The Heroes of October” observance will be a day of music, food and an afternoon of recognition. (The schedule of events is coming shortly.) This event is FREE to the public. 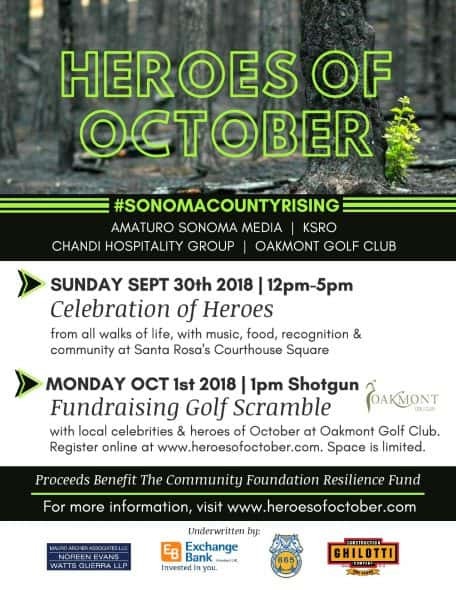 To nominate a hero for this honorary celebration, go to HeroesofOctober.com and scroll down to the “Nominate a Hero” section.